Where a constant assurance of high quality is maintained for our peppermint essential oils, extracts, and dried botanical leaves. The high quality of our products is first and foremost. Founded in 1992 we continue to broaden our horizons through innovation and strong relationships. 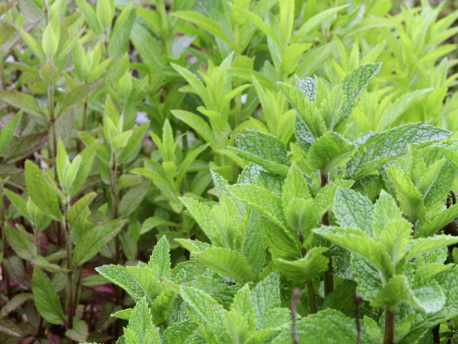 As a supplier of strategic peppermint based ingredients we are sensitive to the importance of your standards and market reliance. We operate in a truly unique way: In partnership with our unparalleled collection of worldwide contacts, we maintain an active and dynamic network based on collaboration, an open exchange of ideas and a philosophy of ongoing innovation in the realm of peppermint. We remain open about our entire process, and the roots of our ethical and professional approach go all the way into every aspect of production and marketing. Connecting all of the dots is a key factor to our success. With our unlimited global network and resources, exceptional field and grower management and unmatched production and blending expertise, Essex Laboratories has earned a reputation as the world's authority in growing, production and distribution of peppermint oils. Look into any use of mint in any market - whether botanical or oil, fragrance or flavor - and you will find our presence and impact. We invite you to navigate our site and explore the world of peppermint. If you have any questions, concerns or business inquiries feel free to contact us or send us feedback on our Contact page. "The greatest service which can be rendered to any country is to add a useful plant to its culture." ﻿All of our considerable expertise, knowledge, capabilities, and resources are here now, ready and waiting for you. We're eager to hear and solve your most demanding mint challenge.